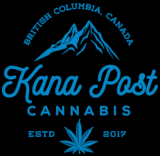 BC Kush is a 100% pure indica strain created by breeders at the infamous BC Bud Depot farm by crossing the insanely popular BC Grapefruit X Kush strains. This dank bud is a two-time winner of the Cannabis Cup for the Best Indica category and is famous for its rich indica heritage stemming from highly potent Afghani indica strains. BC Kush is one of the strongest cannabis plants known at present, and boasts a moderate 15-20% THC level on average.